"Better three hours too soon than a minute too late." Fear not: Paris boasts no fewer than 14 000 public clocks! You’ll find them on churches, town halls, public libraries, train stations. 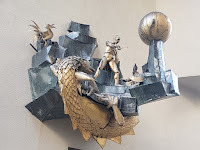 Most of them are simple, functional instruments, but some are works of art. The oldest public clock in Paris is on the façade of the Palais de Justice. Built in 1371, its square face is 1.5 metres across. The hands are in moulded copper, the minute hand in the shape of a lance, the hour hand ending in a fleur-de-lis. 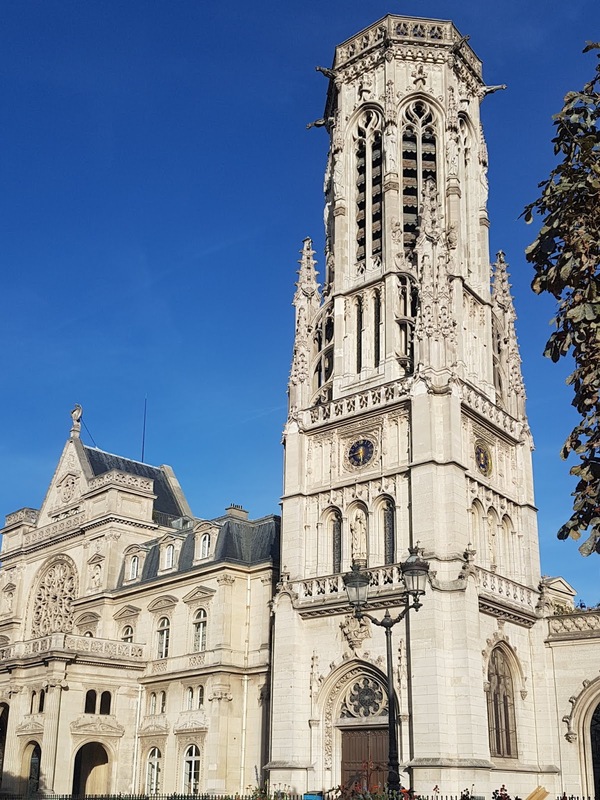 Just across the Seine, next to the Louvre, the clock on the belfry of the district town hall of the 1st Arrondissement is decorated with the signs of the zodiac. On the other faces of the tower are a barometer and a thermometer. Built in 1858, it was fully restored in 2004. 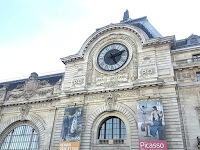 The Musée d’Orsay was once a train station, so you’d expect to find a clock there. 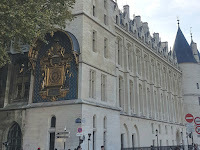 In fact there are several on the outside, but none match the splendid gilded clock on the inside. You’ll have to pay the entrance price to see it. The telephone exchange on Rue Bergère is an early 20th century construction. 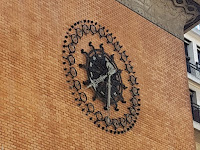 High up on the side of the building a splendid wrought iron clock breaks the plainness of the redbrick façade. Near the Pompidou Centre is a rather dull concrete pedestrian zone called the Quartier de l'Horloge. 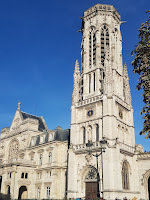 Its drabness is spectacularly interrupted by the elaborate clock called le Défenseur du Temps. Originally, the automata that make up the clock went into action and a man fights against a bird, a dragon, and a crab which respectively represent air, earth, and water. Sadly, the clock has been out of order for some years now, but is still worth seeing. 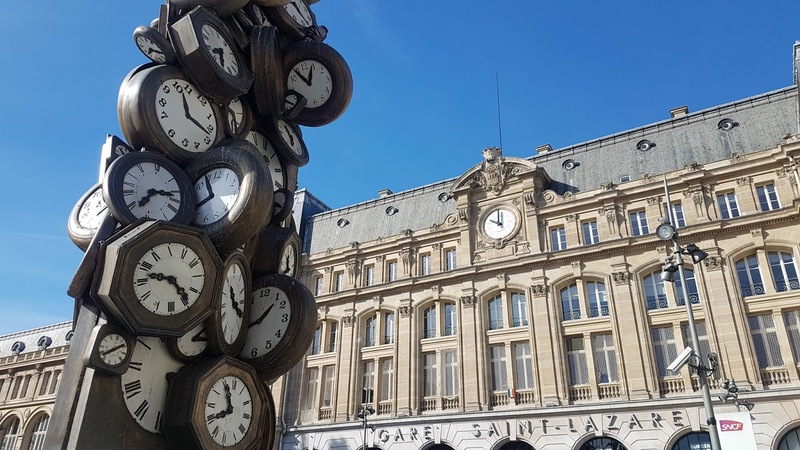 If you really need to know the time when you’re near St Lazare station, the mound of clocks in the sculpture called l’Heure de Tous won’t really help you. 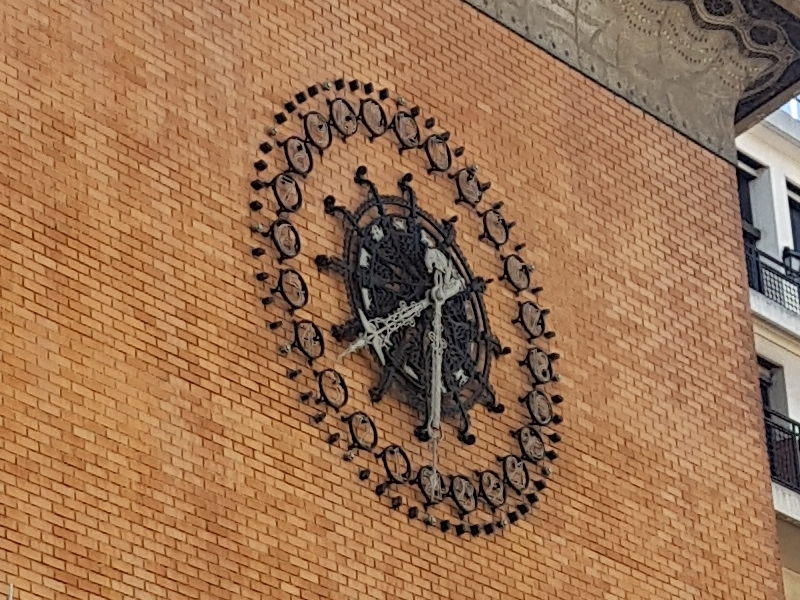 But just behind, on the main façade of the station, you’ll find a real clock. I hope you make that train!